I have a Washburn EA40 which I originally bought in 1995, but sold it a few months later as it didn't quite fit in with what I was doing at the time. A few weeks ago I bought it for the second time. 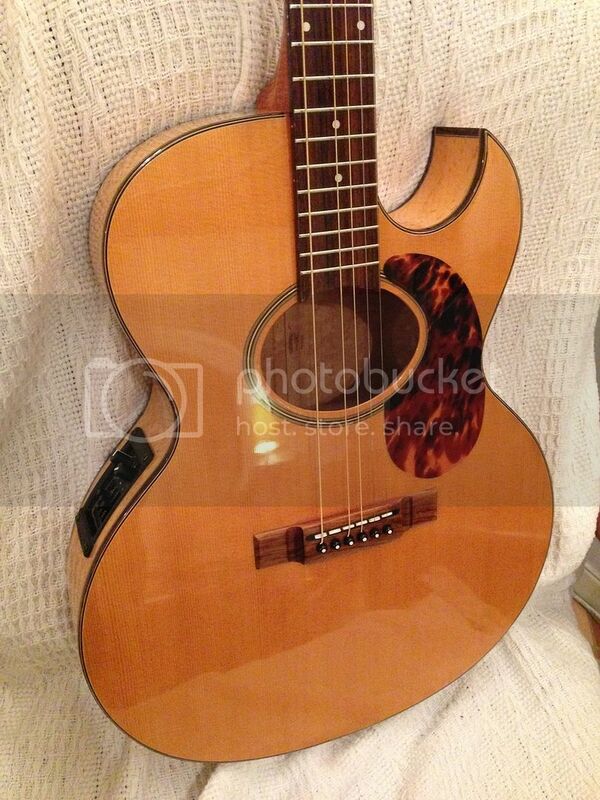 It has a spruce top, birds eye maple back and sides and an Equis II preamp and I hope to post some pictures soon. The serial number stamped on the block is 94408 and I guess that puts it as a 1994 model. But there is a second number, 263 stamped separately on a brace near the truss rod. 1. What does this second number signify? 2. Are the back and sides solid or laminate? I assume it's laminate as on everything thing I've read so far, Washburn point out the solid top but make no mention of the rest. Great forum, hope to be back with more questions soon...!! Welcome to the forum. Dating the festival series can get a bit tricky. Washburn has used a couple different serial number systems and the festival series has lots of exceptions to the rule. Here is some general info on the EA40. For example, 8901827 indicate the instrument was made in 1989, 1988, or 1998. So, with a first digit of "9" your guitar could be a 1989, not a 1994 (first two digits). But, based on the above data the birds eye maple back and sides did not start until 1990 and production ended in 1991. If I had to bet, and I would not bet a lot, I'd lay a few pennies on a build date of '89, late in the year. Just as teh transition to birds eye was happening. The second set of numbers is likely a factory mark that does not mean anything in terms of build date, etc.. 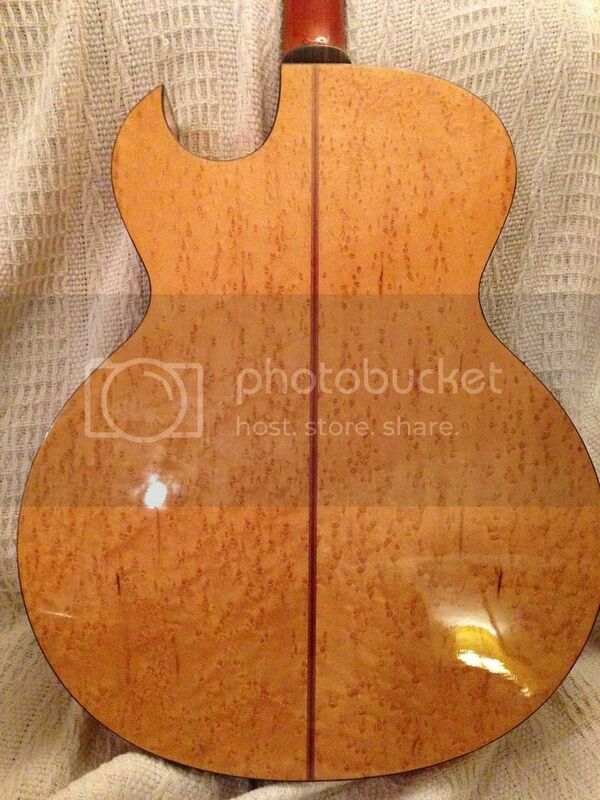 Finally the guitar has a solid wood top and laminate back and sides. Thanks for the information EvenKeel, very helpful. I thought I'd bought it in 1990, but a couple of days ago I found the original sales receipt dated 1995. I know that it was new when I bought it, but it seems strange that it was made a few years earlier. As you say, the numbering system seems bit 'random' so who knows. Thanks also for confirming what I assumed to be the case, that the back and sides are laminate. What exactly does the 'Contour' control do. The effect seems very subtle. So much so that I really can't detect much difference whichever setting it's on...!! Oh yes, and how do I upload pics...? Welcome to the Washburn forum.. You need to register an account with photobucket (photo hosting website) or its equivalent.. Upon making an account, make album of each instrument you have (you don't have to post all, I use it as a database for information and catalog.. 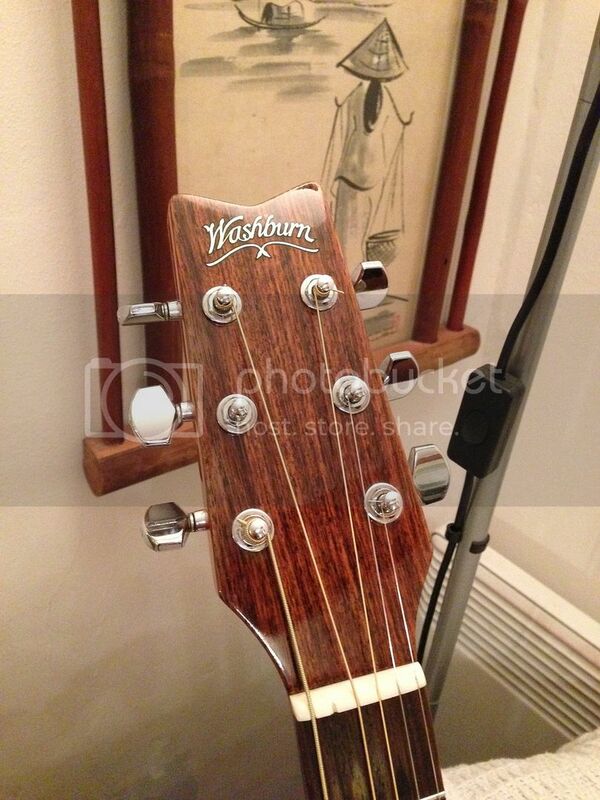 There is an img link it to the Washburn forum. Yes, it's the very rare 5 string version....! Nice pictures. Well done. Very handsome Washie. FWIW, the pickguard is very likely not original. Did you add that or di you buy it that way? Has little to no effect on value. I used to have a EA20 with the same chicklet style saddle. I replaced the small, white, plastic pieces with bone and the improvement in tone and volume was very noticeable. It's a bit of a tedious process so not worth going thru the agro unless you need to replace the pieces, as I did. Thanks, I quite like the look of her too...! You're right about the pickguard. I fitted it myself, just after I bought it new. 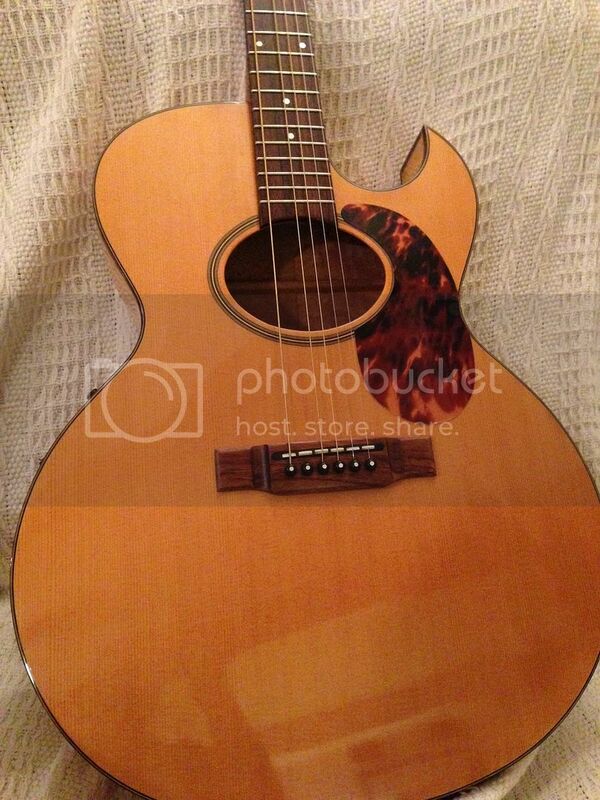 When I saw the guitar for sale 20 years later, that's how I knew it was mine. Interesting point about the saddle. I've just had to work on the nut as the bottom E was buzzing and I'd forgotten about the unusual saddle. It sounds fine when put through an amp, which is why I bought it again, so I'm thinking that I don't want to mess with the saddle. I won't be using it unplugged, so not worried about improving it's acoustic tone. Did the work on your EA20 change the amplified sound at all? I think I read somewhere that the piezo is a Fishman. Is that correct? Has anyone ever changed that for something newer? I assume technology has moved on and there may be something better available now. Although I'm happy with the sound at the moment, I'm not totally adverse to trying something new. I wouldn't want to be changing the pre-amp though, so not sure if it would work. The other guitar that I use live has an LR Baggs Lyric system, which is a microphone placed inside the body. Different sound entirely. Yes it did. Balance seemed better and a bit more presence. More, oomph even at lower volume levels. I hand cut small pieces of bone to match the existing saddle pieces. Not at all hard, just a bit tedious. Ok, thanks again for your help. I'll give that some thought. I'll probably do a few gigs first, then make a decision.